Think any MBA will do? The MBA is a signaling device. Think again. The MBA is a signaling device. You’re telling the market that you were willing to invest time and money to earn one. So it baffles me when students say, “Oh, I just want a top 10 MBA,” as though they are interchangeable. Well, I guess at some level they are – if you are that unaware of how the market perceives your school and how that can change over time, you’re sending a different signal to the market. One you may not want to send. At which point, it won’t matter where you’ve gone to school. Each program has it’s merit but most programs make grand claims that they do it all. They really don’t. So before you spend thousands of dollars applying to schools, get clear on what you want out of them. The school can grant you an MBA, but it can’t help you magically switch from a terrible job to a dream job. The onus is on you. Aligning with an appropriate school for your field of choice is wise – again, market signaling. If you are interested in Investment Banking, choosing a school dominated by Consumer Goods Brand Managers is only useful if you plan to specialize in serving the Consumer Goods Industry, because that’s what will dominate your new network. In other words, if you hope to do Consulting for Financial Services companies, going to a school best at producing consumer goods brand managers signals the market that you either misunderstood what you were getting into – error in research, or you were unaware that it mattered – error in judgment, or (best case?) you knew it would be an uphill battle and you were ready for the challenge – either bold or stupid, the market will decide this about you after the fact. So know this before you go. And get clear about what you want out of an MBA before you apply. No one needs an MBA. These schools need you far more than you actually need them. 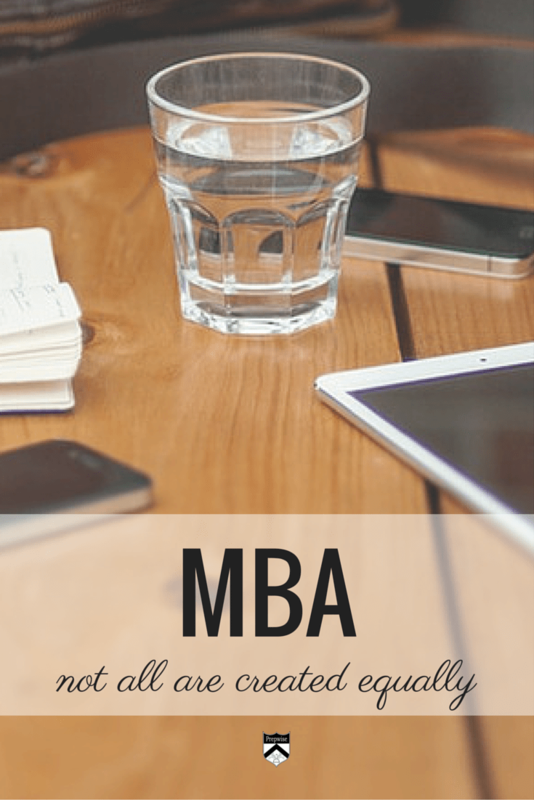 An MBA can open unbelievable doors if you are clear. Otherwise it’s just 2 years of boozy amusement, and you’re right back where you started. Here’s real data to paint the picture. 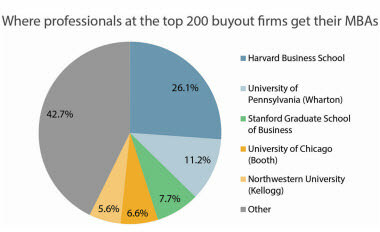 Of all active private equity professionals with MBAs working at the top-200 U.S.-based buyout shops (ranking based on the number of completed deals in the last five years), a whopping 26.1% of them earned their MBAs at Harvard Business School, according to data from the PitchBook Platform.